The vinyl lamination is simple to apply and makes your message impervious to water, grease, and weather. 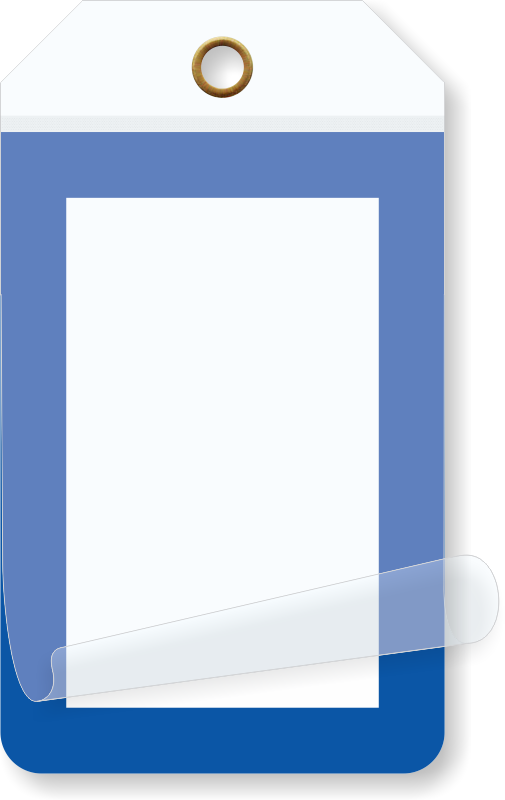 Seal-in your writing to protect from fading or abuse. 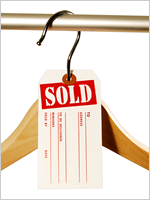 Mark your inventory, equipment, and tools with a Blank Self-Laminating Tag with Blue Border. • Tag is reinforced with a metal eyelet that prevents pulling off. • Just write with a permanent pen or marker and seal the flap. 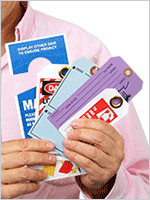 • 15 mil thick vinyl tag is flexible, yet durable and weather-proof. • Tag can be used both indoors and outdoors. • Blue border grabs attention. You can color code your inventory with this tag. • Constructed from a flexible 15 mil thick polyvinyl chloride (PVC), with a single, clear polyester flap that effectively seals and protects your written information in harsh enviornments. • High-strength vinyl tags are water and rip-resistant, while the self-laminating flap protects your writing against moisture, oil, and chemical splashes. 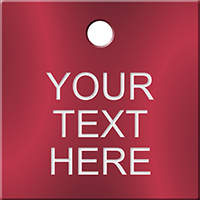 • Tags are digitally printed with UV resistant inks to prevent fading and discoloration over time — extending the product life. • To use, lift the flap, record your information with a permanent pen or marker, peel-off the liner, and press to seal the flap over the tag. • Good for indoor and outdoor use.